Add a touch of elegance to any 'do! 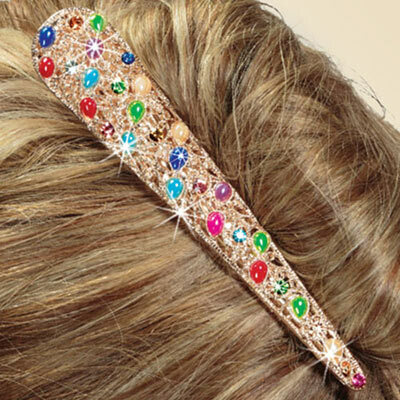 Colorful pearlized oval rhinestones accent this Filigree and Bejewled Hair Clip, along with gold-tone filigree on the front. Durable spring-action, alligator-style clip keeps it securely in place. 5½"l.